From historic houses to interesting landmarks and museums, Key West is a captivating destination that is laid back, charming and colorful.. 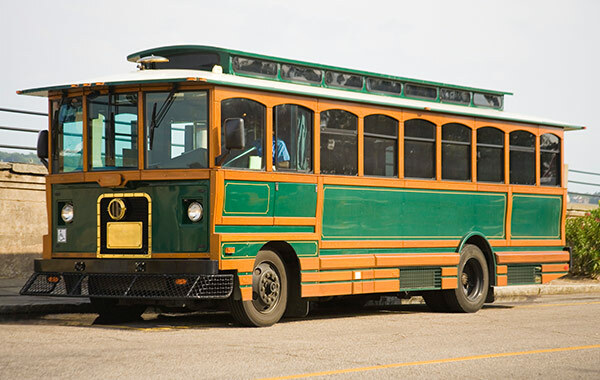 Enjoy fun trolley tours through Old Town or explore the Hemingway House. Take a picture at the Southernmost Point in the Continental US, enjoy shopping and dining on Duval Street or watch a brilliant sunset at Mallory Square. Discover these top Key West museums and attractions for a vacation filled with excitement, history and fun. 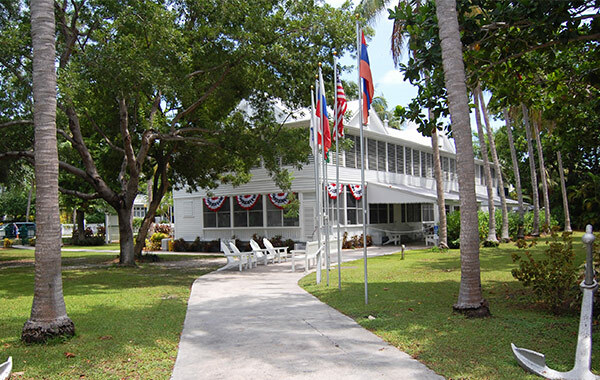 Step back in time to President Truman's era at Key West's Little White House. As Florida's only presidential museum, the American Winter White House was actually used by Presidents Truman, Eisenhower, Kennedy and Carter. Located at 111 Front Street, inside the Truman Annex. At the Key West Shipwreck Museum you can learn about the perils of the of high sea and the many shipwrecks around the Florida Keys. Enjoy vivid storytellers in period costume bring history to life through reenactment, see films and actual artifacts from the 1985 rediscovery of the Isaac Allerton. This ship sank in 1856 on a Florida Keys reef. Explore the historic home of American writer Ernest Hemingway, where he wrote and lived for more than 10 years. Built in 1851, in the heart of Old Town Key West, Hemingway Home offers tours of the rooms and beautiful gardens and lets you witness a prolific period of this Nobel Prize winner's career. 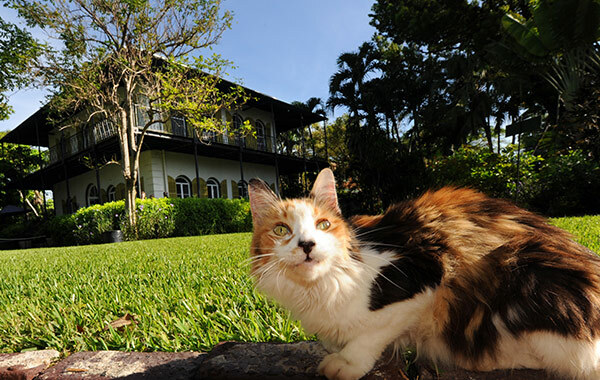 Hemingway's house is home to 50-60 six-toed cats, all descendents of Hemingway's cat, Snowball. 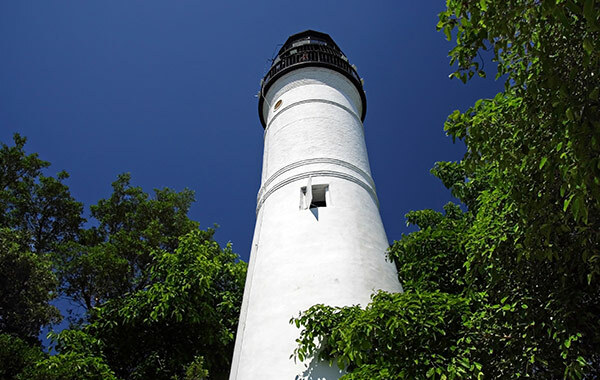 Enjoy the best view of Key West at the 15th oldest surviving lighthouse in the country. The tower and Keeper's Quarters have been faithfully restored as they were before the lighthouse was deactivated in 1969. This light station was built after the hurricane of 1846 destroyed the original 1825 tower. The 88-step circular iron stairway leads to the lighthouse deck with sweeping views of Key West and ocean. Stroll down to the heart of Key West's historic waterfront. The Sunset Celebration at Mallory Square is a nightly festival with arts and crafts, music, street performers, food carts and psychics. The festivities start about 2 hours before the sun sets into the Gulf of Mexico. 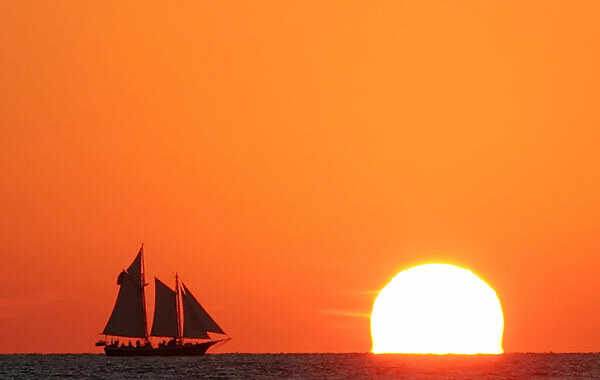 Bring your camera and watch for the Green Flash when the sun slips into the gulf. In 1922, Sister M. Louis Gabriel and her fellow nuns created this grotto. On the day that the shrine was dedicated, Sister Gabriel blessed the grotto saying "For as long as this grotto stands this island will never suffer the full force of a hurricane." When hurricanes threaten, Key West residents head to the grotto to pray and light candles. Since the dedication of the shrine, Key West has been spared any major hurricane devastation. The 1910 building houses an extensive collection of artifacts from 17th century shipwrecks, such as the Henrietta Marie, Nuestra Señora de Atocha. 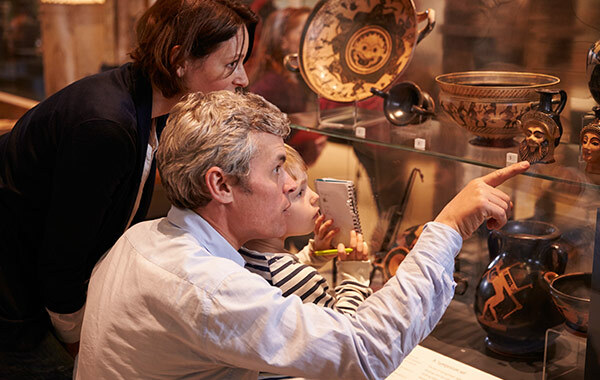 The artifacts from the Atoca and Margarita are the cornerstones for the collection, which includes gold coins, a chalice, and canons. 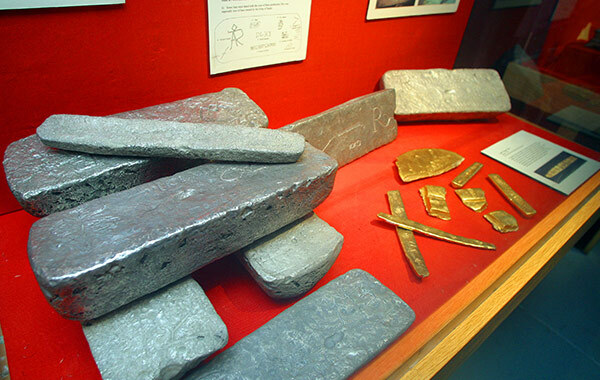 See amazing treasure in the 1622 Fleet exhibit of the Spanish galleons discovered by Mel Fisher or learn about pirates of the Caribbean. 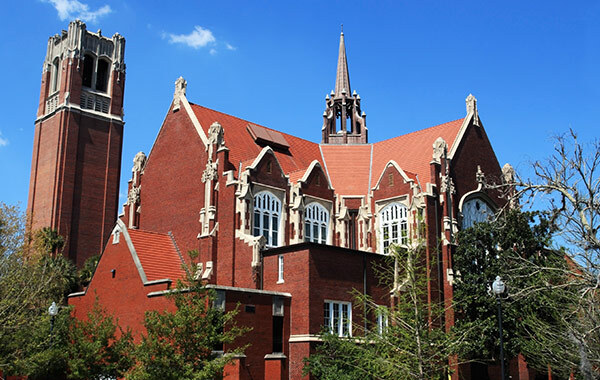 Follow a path once traveled by wreckers, pirates, and politicians to South Florida's most important historic building. The Custom House is a rich center of Key West history. See folk artist Mario Sanchez's colorful wood paintings of old Key West. Stand where the U.S. decided to go to war with Spain, after the sinking of the battleship USS Maine. Learn about Ernest Hemingway's life in Key West, where he wrote his most famous novels. 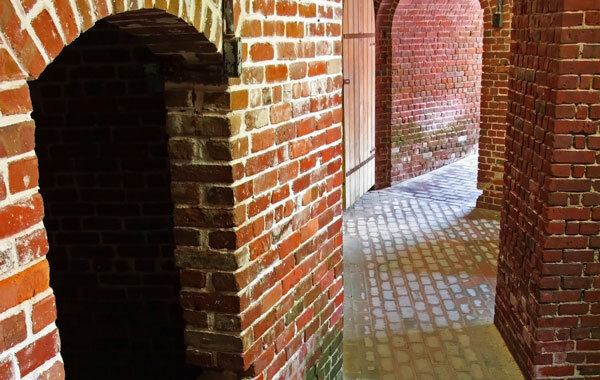 Discover a vast collection of Key West artifacts, historical records, and military memorabilia at the Fort East Martello Museum. History, architecture, local scandals and legends are what you have to look forward to during your tour of the grounds. The view from atop the central tower offers a spectacular panorama of the Atlantic coast of Key West. 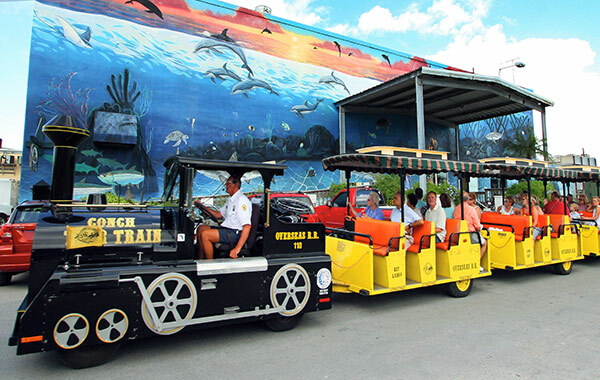 All aboard the Conch Train for a fun ride on one of Key West's most popular attractions. You'll enjoy a 90-minute journey around the island, learning about Key West legends such as Ernest Hemingway and little known facts about this tropical paradise. Your tour of Key West will take you to unique attractions with stops at Mallory Square, Southernmost Point and Key West Butterfly and Nature Conservatory. See the former home of William Curry, a penniless Bahamian immigrant who made his fortune as a salvager and became Key West's first millionaire. 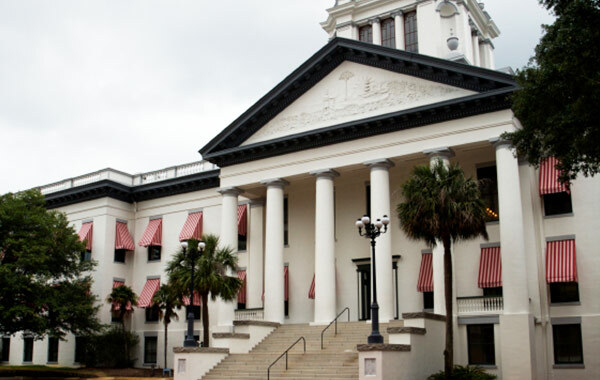 This historic 1869 mansion is where Florida's famous Key Lime Pie was first created at the turn of the century. Enjoy daily tours of the beautiful mansion, a place where past and present are intertwined. Hop on for a laid-back ride through historic Key West. Enjoy a fun sightseeing tour narrated by friendly conductors who offer a mix of colorful stories and historic facts. The trolley tour lets you hop on and off at sights like Hemingway House, Mallory Square and Key West Aquarium. Your ticket is good all day, so you can stop for a drink at Jimmy Buffet's Margaritaville in Old Town and then hop back on the trolley to enjoy more Key West attractions. 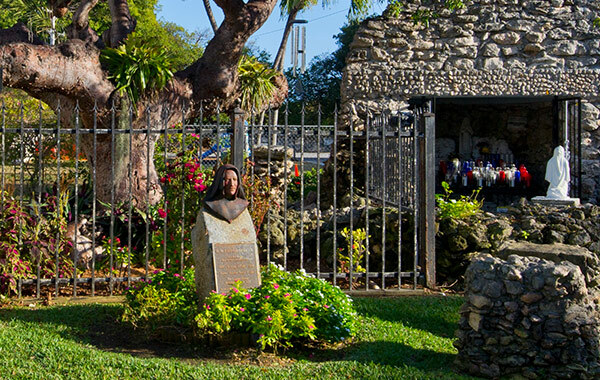 Located in the "dead" center of Old Town, Key West's historic 1847 cemetery is the perfect place to stroll through history and learn about Key West's quirky characters. While you're there, look for hilarious inscriptions, including "I Told You I was Sick" and "Devoted Fan of Julio Iglesias." 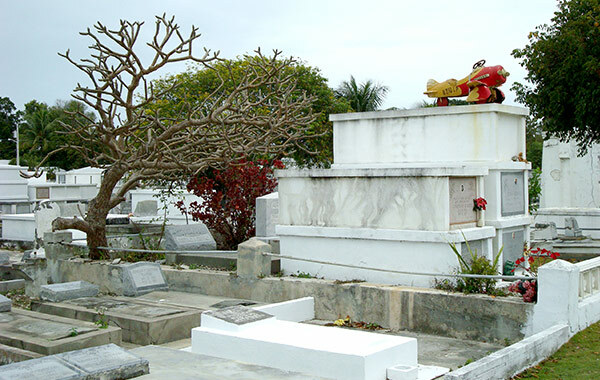 You can also see varied artistic styles and burial methods in the City Cemetery and monuments that mark the graves of Key West's most prominent people. 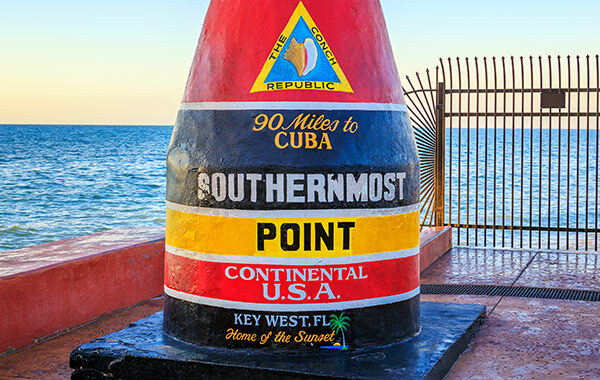 Resembling a giant buoy, encircled in black, yellow and red stripes, sits the Southernmost Point in the Continental USA. Head down to the corner of Whitehead & South Streets to snap a shot in front of this famous monument, located only 90 miles from Cuba.